Our summer riding programs are held Monday thru Friday for specified weeks during the summer from 9am to 3pm each day. Click on our information tab above for details! Our qualified instructors and trainers have years of horseback riding and teaching experience. Our horses and ponies are carefully selected and trained for beginner riders. Our programs feature more “in saddle” time than most other riding programs / camps. 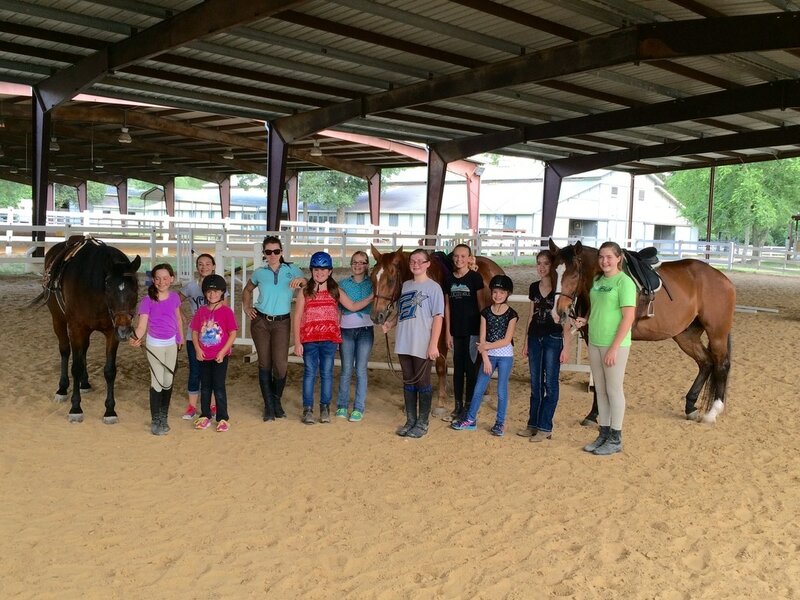 We tailor our instruction to the level of the participants in our riding groups and summer programs. We have a large covered riding arenas to use in case of extreme heat or inclement weather. We have a large climate controlled lounge for “non-horse” activities. We have other creature comforts such as indoor lighted restrooms. Callegari Equestrian Center Riding Programs are safe, educational and most of all... FUN! Our beginner rider programs focus on teaching your child everything that is involved in horseback riding and horse care. They will learn how to properly and safely lead, groom and tack a horse under the close supervision of one of our qualified instructors . Once they have accomplished these tasks, they will be taught how to mount a horse and ride at the walk and trot. At the beginner rider level, our riding programs focus on teaching sound riding fundamentals while emphasizing rider safety. It is our belief that mastering the fundamentals of riding will help build rider confidence, thus allowing the rider to advance their skills at a faster pace. Intermediate level riders will be instructed at the walk, trot, canter and over fences. They will be challenged so as to improve their riding. We also utilize riding games which, while being fun for your children, also teach them how to control their horse, and improve their balance and confidence in the saddle. These riding programs are for English riders with riding experience and jumping experience - or your riding experience can be western and you want to try something new! Participants should already know how to canter and should be comfortable jumping 2ft at a canter in an arena. We will be studying two separate disciplines - Jumping and Dressage. 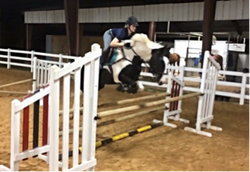 These programs are targeted for the competitive rider who wishes to show or the serious rider who desires to refine their riding techniques to show level. These will be a very intensive, information packed sessions of fun and challenge. If you would like to receive more information regarding summer camp, please provide your contact information below.